Want to see what it's like to run the Boston marathon? The Virtual Runner app takes you virtually to some of the most iconic race courses while you run on the treadmill. It's simple. Once you download the app, select which course you'd like to run. Download the video to your iPad or iPhone, hop on the treadmill, press play, and start running. Check out the TD Beach to Beacon 10K trailer. Note: Because the videos require lots of storage, it's best to download the videos on your computer and then manually select which ones you'd like on your iPhone/iPad. This app is definitely a different way to get motivated to run. Put your headphones on, press start, and start running. And that's when you'll hear them...ZOMBIES! This app is a running game and audio adventure, co-created by award-winning novelist Naomi Alderman. As you run, you'll dodge zombies and follow orders from the voice recordings. Before you know it, you will have just completed a successful run. Training for a marathon? Need a little extra push? Ghost Race Pro lets you train against a competitor. Set the distance and pace that you'd like to beat, and the app will let you know if you're ahead or below your goal. It will tell you to pick it up when you need to. Monitor your progress and other fitness activities with the built-in storage log. A good fitness plan always requires an adequate amount of sleep. This app collects data to analyze your sleep and wakes you up in your lightest sleep phase so you feel rested and re-energized. Notice how you sleep when you exercise versus when you don't. You'll be able to see how your daily activities impact your sleep. Pzizz Sleep plays sounds and tones to help you fall asleep with ease. Many users who have used the app say they no longer need to take sleeping pills to help them fall asleep. The soothing music and voices help you fall asleep, stay asleep, and wake up feeling refreshed. Pzizz Energizer clears your brain, improves focus, and lowers stress. The app uses sounds and tempos to relax you and relieve any stress. Within 15 to 20 minutes, you should feel a boost of energy. Get the results you want in less time. This app offers 100-plus workouts from elite trainers. The app is free, but to receive unlimited workouts, it's $9.99 per month or $89.99 per year. The workouts are unique and motivating to help you lose weight, build muscle, and boost endurance. Connect your Bluetooth-enabled heart rate monitor to the DailyBurn app to receive real time feedback of your heart rate. Hate going to the gym? Are you always traveling? Well, now you have no excuse not to exercise. NFL All-Star and FitStar trainer Tony Gonzalez, along with a team of experts, make your goals to get fit and healthy easy and simple. 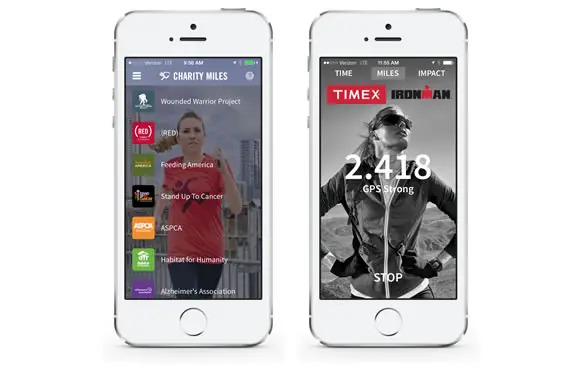 Choose your goal, and the app will customize a workout plan for you to follow. The workouts change daily to keep your fitness journey new and exciting. The best part: the workouts work around your schedule. If you only have 30 minutes, it will create a program that fits your schedule. If you're skilled, the workouts will change to challenge you more. And the app tracks if you were pushing yourself or if the workout was too easy. It's free to download, but there is a membership fee for unlimited access. Transform your body in seven minutes a day. Experts have put together 12 exercises that can be performed in seven minutes. The catch: these are high-intensity workouts with little rest. You need to push yourself; otherwise, the program is ineffective. This app is great if you're short on time or need a little change to your regular routine. Track your daily movement and see how many calories and steps you take in a day. Plan walking routes for your daily errands, track your workouts, and see what small changes you can make to move more. Just carry your phone in your pocket or bag to watch your activity habits. Track all of your runs and rides as you reach your personal best. It's easy to use. Grab your GPS device, head out for a run or ride, and view your activity on Strava. You can earn badges for completing certain challenges or compete with other Strava users through social media. If you have a Fitbit product, then this is a must-have app. The Fitbit app uses Bluetooth technology to automatically sync your tracker's data to your phone so you can see your latest stats. Track your daily goals, steps, calories burned and sleep to help you reach your goal. It's simple to set up, use, and read, which makes staying on top of your health easy and stress-free. Whether you're a newbie or veteran, this yoga app is perfect to take your practice anywhere. There are over 16 hours of ready-made classes for any level. Classes range from 15 to 60 minutes and offer modifications if you need them. It's one of the best ways to keep practicing when you can't make it to a yoga studio.